Business Automation Ltd. (BA) introduces Corporate Board Management System | Business Automation Ltd.
Business Automation has introduced BoardPAC (Board Management System) in Bangladesh in a vision to make paperless Board management for the corporates. BoardPAC is a solution of IronOne Technologies from Sri Lanka and leader in Corporate Board Management solution based on iPad. BoardPAC is a solution that enables efficient secure access to the company’s corporate Board Papers. A typical Board meeting requires the preparation of an agenda which is an arduous exercise in paper management. The meeting administrator to spend several days bringing an agenda together for even a reasonably modest meeting. The BoardPAC solution key success is attributed to the simplicity of the solution. The solution provides an effective way for Board Directors to access the Board papers and supplementary information directly to their iPad device. Introduction of Corporate Board Management solution in the market, Business Automation is expecting to bring efficiency in among the local corporates who are currently dependent on the paper-driven meeting. Business Automation has become only one solution partner of IronOne Technologies to initiate BoardPAC solution for Bangladesh market. 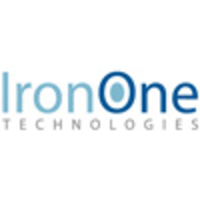 IronOne Technologies, is a software design, the development company located in Sri Lanka and USA. IronOne is an award-winning company with our quality standards recognized in the region. IronOne is the â€œNational Best Quality Software gold and silver medal winner in the past two consecutive years ( Sponsored by HP and BCS). IronOne has experience in servicing large corporate clients and offers customized methodologies through its offshore development center based in Sri Lanka.